Find out what to do with an old iPhone : If you brought yourself new iPhone (mobile) | Free Pc to Phone Calls, Free Voip Calls to India International ! Every morning I wake up, look at the gadget section of the newspaper and a new device (new mobile) is waiting to be unfolded. Yeah, it may not be that frequent but you have to agree that smartphone's are flooding the market. So many mobile companies, so many mobile operating system, so many different smartphones. One claiming about the better battery, one about the latest supercool camera, some boasting about the 5" screen, the list is endless. And now we have just seen the launch of Samsung Galaxy III, Nokia Lumia 920 and now iPhone 5. Even if I plan to buy myself a new mobile (latest iPhone5), but question which keeps coming to my mind : What about my old mobile ? What will I do with my old iPhone! Well, I am sure many of you must also be confused with the same question. So we decided to prepare a list of suitable things which you can do with your old iPhone (be it iPhone 3G, iPhone 4 or the not so old iPhone 4S). Lets find out! We have just prepared the list of top 10 things which you can consider doing. There can be many more things (wild things like breaking it to find what's actually inside it) you can also do, which we won't recommend (but again its your iPhone, do what you want to do). You have been constantly updating your own mobile (a new gadget every few months). Think about your parents as well. Let your mom also upgrade her mobile. This will be the most wise thing to do, just give your old iPhone to your mom and enjoy the smile on her face. I am sure many of you would then have to train her to use this Gadget called iPhone. But trust me, she will learn very fast and she will love the experience of using iPhone. 2. Give it to your kids..
Aah.. Kids just love iPhone. Install a few application like Talking Tom, Angry Birds and they will stop complaining that you don't buy them gifts. iPhone is the best toy (in the history) to gift to your kids. Its shiny, its good looking, full of songs, games : what more your child can ask for. 3. Use it as iPod (or music system) at your home. Minus the phone functioning of your iPhone, it works really well as iPod. Pump in some of the latest songs, connect your iPhone to the docking station and put it at your home for constant music. You will love this experience as well. Or use your old iPhone as a mini iPad (the choice is upto you) to play games on it. I am sure many (not all) people don't like to jail break their iPhone (specially if its a new one). But then you loose out some heavy free stuff that you can get with it. Since you have already brought a new iPhone, relax and jailbreak your old one. You can also do other engineering experiments with your old iPhone (which you will hesitate to do with your new iPhone). Upgrade your alarm clock, get over with the old radio alarm. Just turn your old iPhone into an alarm clock. Hide it in a different spot in your bed each night for an added challenge. Do some good to the society. You know you can actually donate your old iPhone to some charities. Obviously they won't give the phone itself to the people, but they will recycle it and sell it to make money. This money will then be used for charity. A nonprofit group called Cell Phones for Soldiers will take your "gently used" phone and sell it to recycling company ReCellular. It will then use the proceeds to buy calling cards for soldiers. Another one : The US Association for the University of Peace is collecting old and new iPhones (and other cell phones) for a partnership program with TechChange: The Institute for Technology and Social Change. They will be used to train aid workers, local journalists, educators, election monitors in simulation exercises of popular software for social change platforms such as Ushahidi and FrontlineSMS, Souktel, M-Pesa and more. You have spend lot of money getting this phone (contracts ain't free buddy). So its time for you to get atleast some returns on it. Join ebay and sell your old iphone for few hundred bucks. But it won't be easy to sell it off as large number of people choose this option, so just wait for the dust to settle and then sell it off. A company called Gazelle, also makes an offer for your old phone based on its condition, your phone carrier and other information. A 32 gigabyte iPhone 4S on Verizon Wireless, for example, was recently going for $237 if it's in good condition and $90 if it's broken. Glyde.com also offers to help you resell your old phone. A recent check showed the above 4S getting roughly $325 to $350 after fees are deducted - provided there is a buyer. A "speed sale" that guarantees to sell it in seven days will get the seller slightly less money. You will have to agree that camera of iPhone ain't bad at all. Plus iPhone has a good memory (32 GB, depends on your model). So just use this as a digital camera and keeps adding snaps to its memory. Plus it has all social apps to share the snaps on the go !! Yup, Apple has its own recycle program. They will give you an Apple Gift card in exchange of your old Phone. They will first check the mobile and get its monetary value. 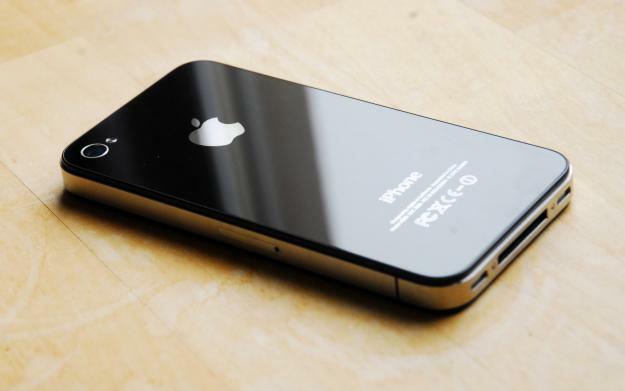 A 32 GB iPhone 4S (not very old, good condition working mobile) will fetch anywhere between $250-$300. That's higher than any of the sites, the only problem is you need to spend the money at Apple only. Apple Gift card works only at Apple. It also accepts broken phones for recycling but you won't get any money for them. Your new iPhone have so many apps, so much data. Just consider the possibility that you may loose this device at work, coffee shop, traveling somewhere or in your car. So keeping your old iPhone as a backup device can prove to be really very useful in these cases. If you are a frequent traveler then it is again a very useful option. Getting a local sim on your old mobile will help you save a lot on roaming charges (which prove too much in certain cases). Once an iPhone is off contact, the most common approach is to unlock the device and purchase a new SIM card that works with another carrier.